South of Burnside and West of the freeway you'll find the leafy, relatively quiet neighborhood of Goose Hollow. Goose Hollow is a good residential mix of mid- and high-rise buildings, historic homes and small apartment buildings. It's a very walkable neighborhood and a terrific location if you're a Portland Timbers fan. In fact one of the high-rises, The Civic, is literally just outside the gates of Providence Park. Other condo buildings in the area include The Jefferson and Legends. If you want to live in the Alphabet District but want to be in a modern high-rise then Goose Hollow is a great compromise because it's a short walk across Burnside to get to 23rd Street. 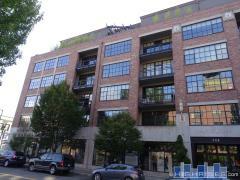 Contact us for more info about condo living in Goose Hollow.